The European Union may pass a decision about the transition to the second phase of the introduction of a visa-free regime with Ukraine at a meeting of the EU Council on June 23, Ukraine's Acting Foreign Minister Andriy Deschytsia has said. "We expect that the decision (to switch to the 2nd phase of the introduction of a visa-free regime with Ukraine) will be taken at the EU Council's meeting on June 23," Deschytsia said at a briefing on Thursday, which is dedicated to the 100 days of activities of the Ukrainian Foreign Ministry in its latest composition. 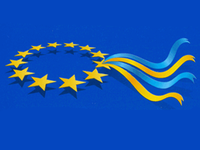 The minister noted that Ukraine had completed the first phase, and the European Commission approved its results on May 27, 2014. During the second phase, Ukraine needs to adopt additional legislation on the introduction of biometric passports, migration and other matters, Deschytsia said.